Buy your celestial map at Bartele Gallery. Celestial cartography is also known as uranography, astrography or star cartography. Our collection includes great astronomical works including planispheres, constellation charts and more. Koop antieke hemelkaarten bij Bartele Gallery. Het bestuderen van de hemel staat ook wel bekend als uranografie, astrografie of ster-cartografie. In onze collectie vindt u prachtige astronomische werken zoals planisferen en sterrenbeelden kaarten. 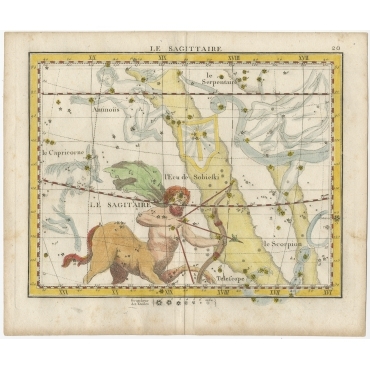 Antique Celestial Maps There are 14 products. Antique Map, titled: 'Planisphaerium Coeleste (…).' - A very decorative double hemisphere celestial chart by Tobias Conrad Lotter, Maped in Augsburg in 1770. The smaller circular diagram is showing the rotation of the Planets, according to Tycho Brahe, Ptolemy and Copernicus. 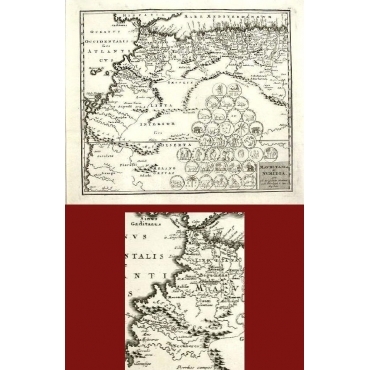 The map is further decorated with globes and armillary spheres.